Making of Champions (MoC) Track Club enjoyed an inspiring outing at the 2019 National U-18 and U-20 Trials held in Ilaro, Ogun State, from March 15th to 17th, as seven of its athletes made the finals of their respective events across Youth and Junior levels. 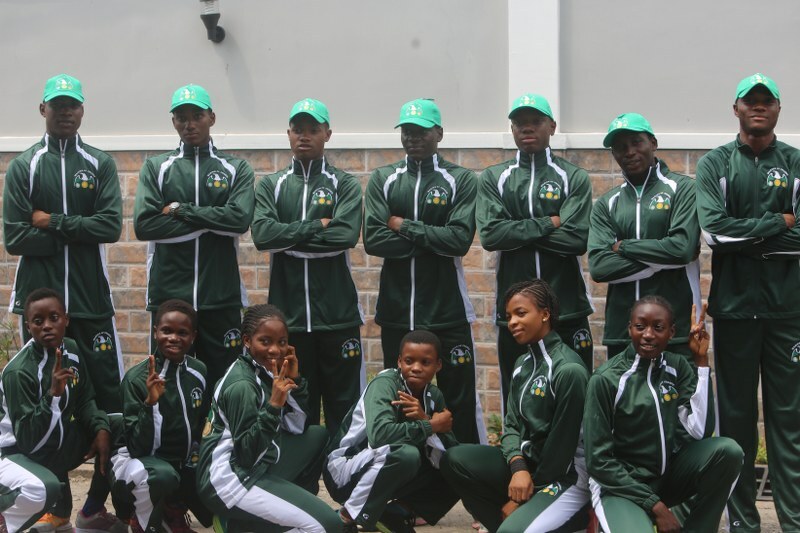 Having recently unveiled 16 new athletes, 13 of whom are Youth and Junior athletes, the club was represented by a record 16 athletes in Ilaro, with most of them making their debut at the competition. 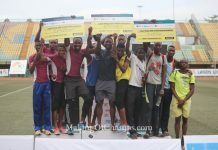 For other members of the team, it was their first time ever of participating in any competition at all, save the Athletics Trials held by MoC from which they were selected to join the club. 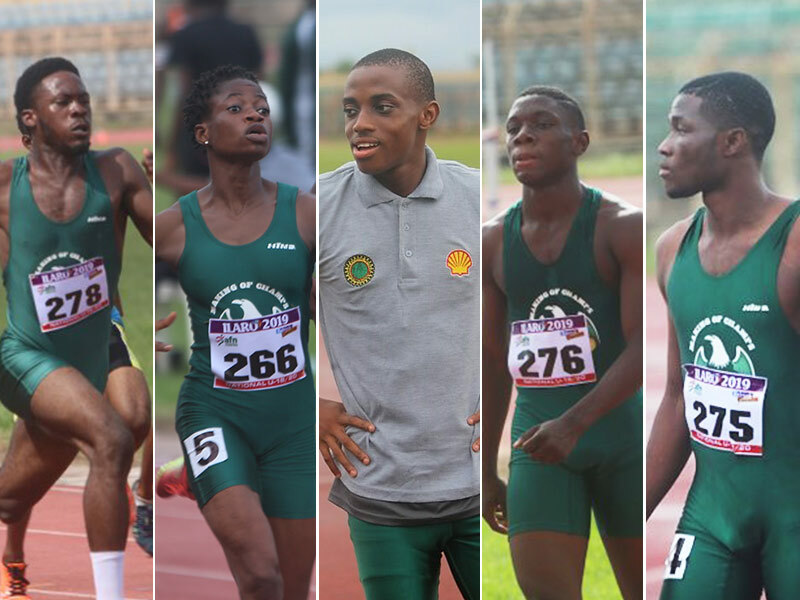 All 13 new Youth and Junior athletes competed at the National U-18 and U-20 Trials in Ilaro. 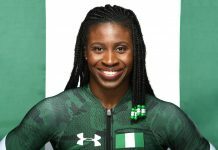 Following in the footsteps of teammate Joy Udo-Gabriel who won the women’s 100m title at the 2018 edition of the Trials held in Ozoro, Favour Ekpekpe stunned his rivals to win the men’s 200m final with a massive Personal Best (PB) of 21.44s in Ilaro, a distinct upgrade from his Bronze-winning feat in the U-18 category last year, which he claimed with a then PB of 21.97s. 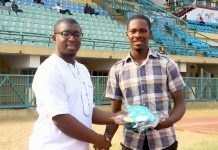 Having missed out on the trip to Algiers for the African Youth Games (AYG) last year, the 18-year old, who is being sponsored by Shell for the 2019 season, demonstrated his determination at making the Nigerian team to next month’s African U-20 Championships in Cote d’Ivoire, first of all winning his heat, then leaving nothing to chance in the final as he gave the race his all on Sunday morning. Tony Akhalu followed in 2nd place. Favour Ekpekpe streaking away from his rivals to win the men’s 200m Junior race. 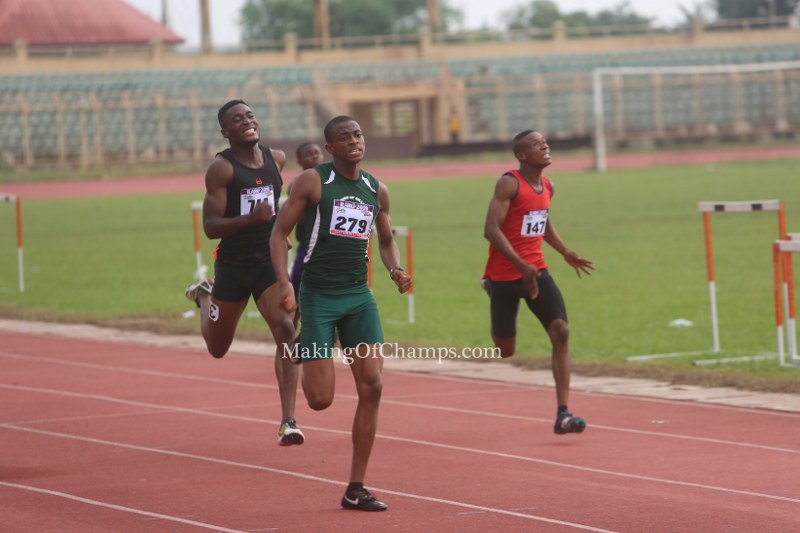 Winning the U-20 category of the 200m is no doubt a huge consolation for Ekpekpe who narrowly missed a place in the 100m final after finishing 3rd in his heat (10.92s) and 3rd in his semifinal race. 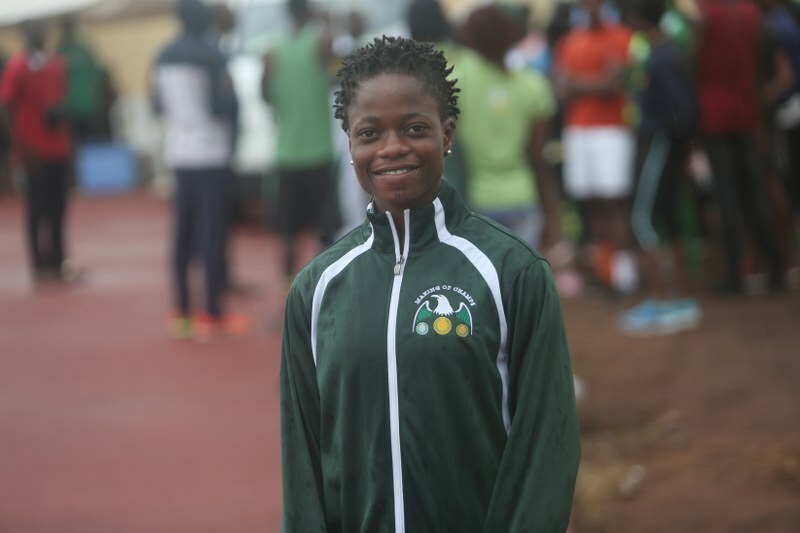 Another MoC athlete, Blessing Oladoye, launched an impressive campaign in the women’s 400m as she clocked a new PB of 55.75s to run the overall fastest time in her category on Day 1 of the competition, improving her previous PB of 55.78s set at the 2018 National Sports Festival (NSF) where she represented Ondo State. Blessing Oladoye clocked the fastest time in the women’s U20 400m, and placed 2nd in the final. 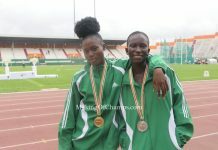 In the final, 18-year old Oladoye pressed hard and eventually raced to 2nd place in a time of 56.72s, with Charity Agofure winning the race with a time of 56.58s. 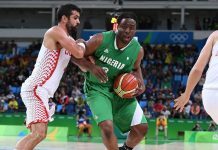 ND Western-sponsored Bowofoluwa Egbeyemi aimed to make his last year as a Junior athlete count. 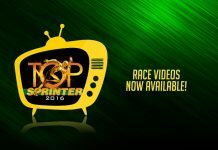 He was indeed the man to beat in Heat 1 of the 100m, which he won with a time of 11.03s. Egbeyemi’s PB in the event is 10.81s. 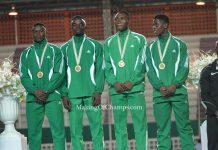 Bowofoluwa Egbeyemi finished 4th in the men’s 100m final. 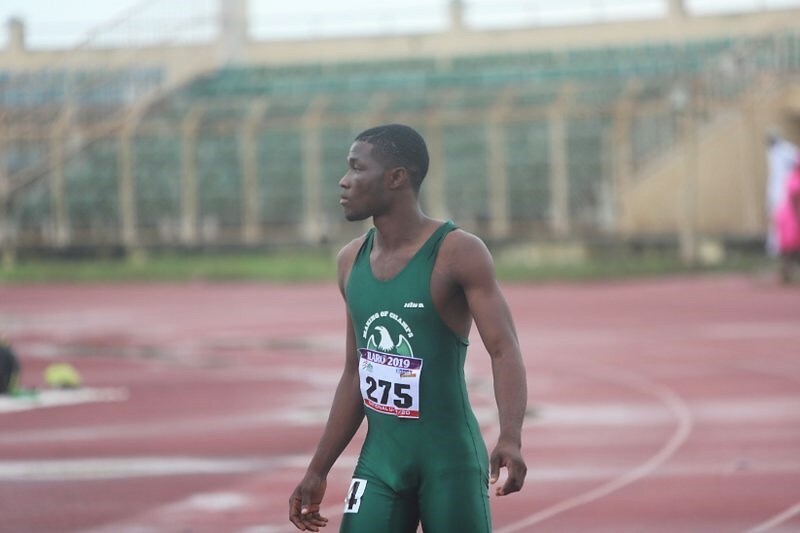 The 19-year old University of Ibadan undergraduate booked his place in the final after placing 3rd in the semis with a time of 10.92s. 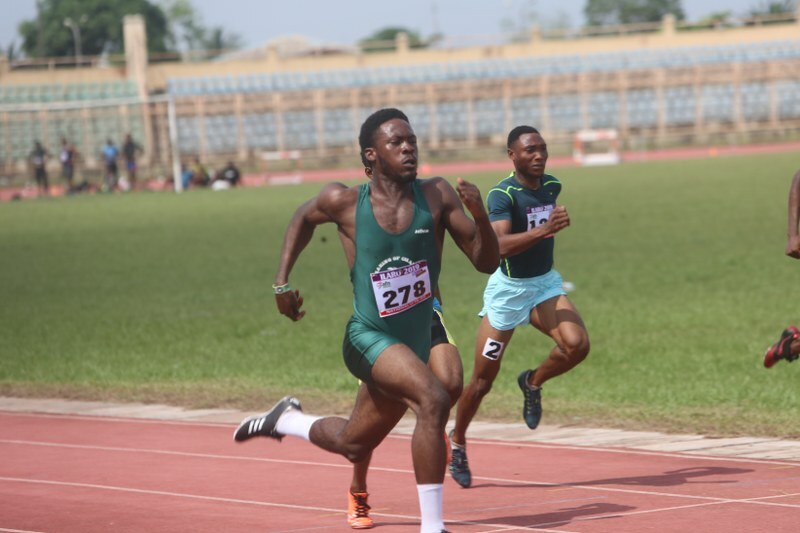 The final race was highly competitive as expected and was eventually won by Enoch Adegoke in 10.39s as Egbeyemi came through in 4th in 10.84s. 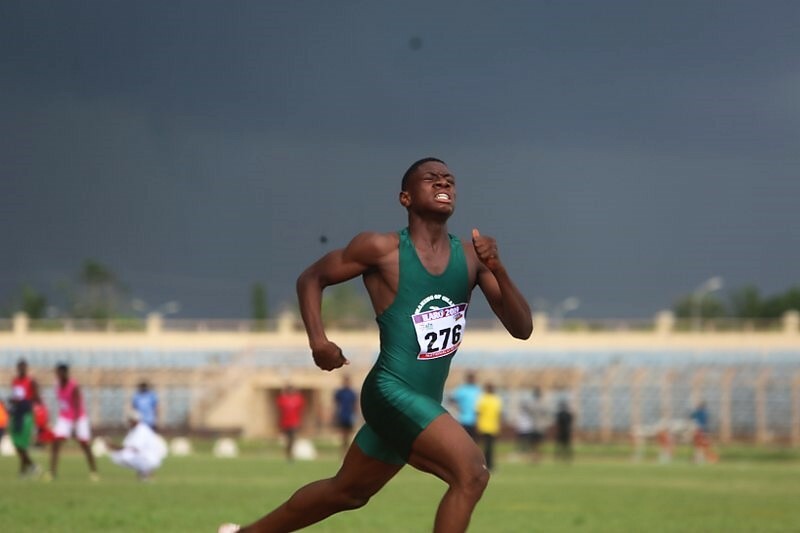 16-year old Favour Ashe made his national debut in grand style as he put up an impressive performance to make the finals in the Boys’ 100m and 200m respectively. While competing in the 100m heat, Ashe, who only joined MoC a few months ago, raced to victory in a PB of 11.05s. He broke 11s for the first time in his career when he stormed to another PB of 10.99s to place 3rd in the semifinals, before settling for 7th place in the Boys’ 100m final. Favour Ashe made an impressive debut at the National U-18 Championships and set PBs in the 100m and 200m. He recorded a similar performance in the 200m, running a very good curve in Heat 2 to seal the victory with a PB of 22.57s. 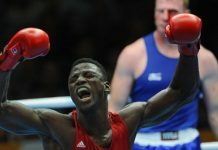 This earned him a spot in the B Final where he finished 2nd. Teammate John Clifford also impressed as he sped to a PB of 48.8s in the men’s 400m heat where he secured 2nd position, and eventually settled for 4th place in the final. Just like Ashe, Clifford only joined MoC a few months ago. John Clifford made the final of the men’s 400m where he settled for 4th place. Success Umukoro competed in the 100m and 200m. Running on the inside lane, the MoC athlete claimed victory in her 100m heat in 12.39s. In her semifinal race, she finished 2nd in 12.26s, while teammate Miracle Thompson who was in the same race, placed 4th, having also won her heat earlier in 12.78s. 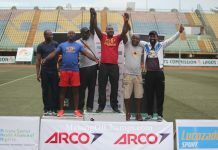 Umukoro eventually settled for 5th in the 100m final and 4th in the 200m final. MoC’s youngest athlete Maria Umoibang was no pushover at the competition. 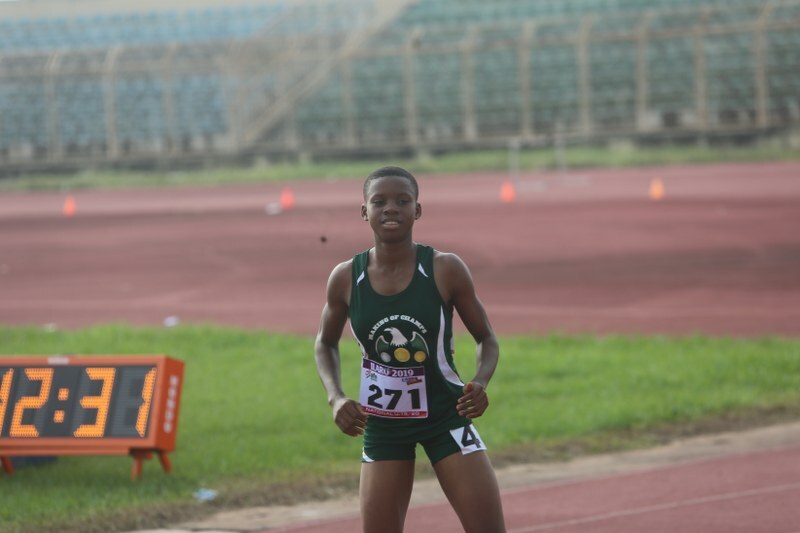 Coming to Ilaro with a PB of 13.37s, which she set at the National U-18 Championships in Ozoro last year where she only competed in the heats, Umoibang showed tremendous improvement this time around as she won her heat with a new PB of 12.78s. In the semis, she bettered her time to 12.63s while racing alongside Anita Taviore who won the race in 12.31s, while 14-year old Umoibang settled for 2nd. In the final, she clocked 13.13s in 8th place, and will be proud of putting up a decent performance in Ilaro. Maria Umoibang is MoC’s youngest athlete. However she impressed by making the final of the Girls’ 100m at 14. Victory Owhovoriole who had shown great promise prior to the competition, could only compete in the 100m heats and had to sit out the semis and the 200m due to an injury. Nevertheless, she was able to place 2nd in her only race at Ilaro. 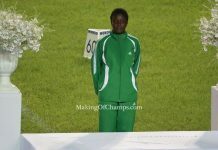 Making an appearance at her first ever competition, Fidelia Ucheobi overcame her nerves to get to the semis of the Girls’ 100m, and the heats of the 200m; same for Inioluwa Mebawondu who replicated a similar feat in the Boys’ sprint double. 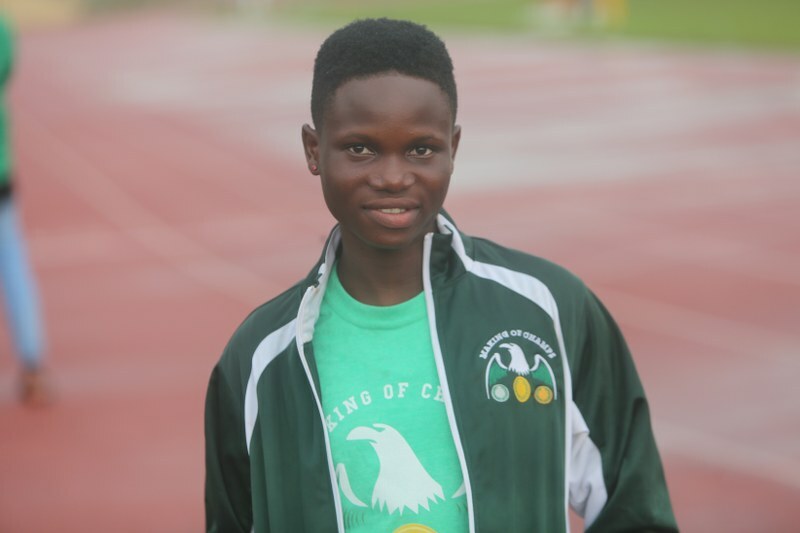 Gracious Ushie and teammate Eze Moses Owoh, while competing in the Nationals for the first time, churned out impressive performances in the men’s 200m and 400m respectively. 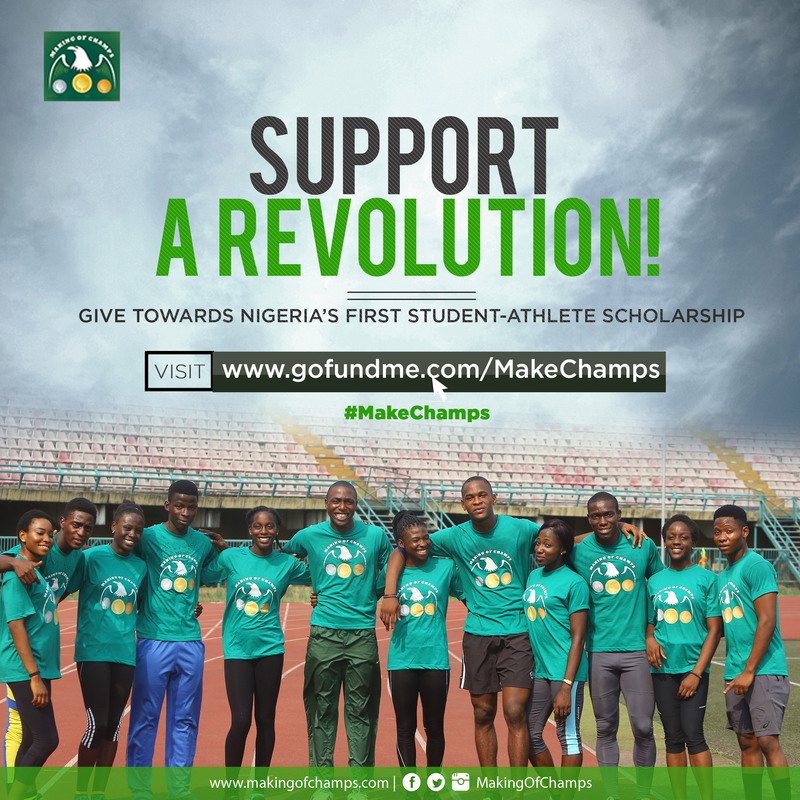 Adeola Ayo and Uthman Yusuff also ran promising races in the men’s 400m heats and 100m/200m respectively, while Halima Badmus was encouraging in the Girls’ 200m/400m.